Up until now I have been carrying my larger and more expensive pens in single pen pouches. I would carry two to three pouches at a time which was cumbersome; I finally broke down and bought a Pelikan 3 pen pouch. 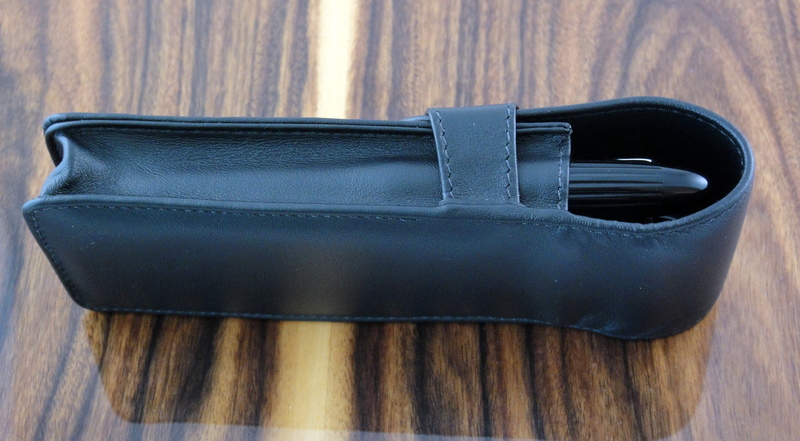 I have been using a Pelikan Fine Leather Black Triple Pen Pouch every day for about a month now and I quite like it. I spent a good amount of time looking for a quality case that really protects pens. 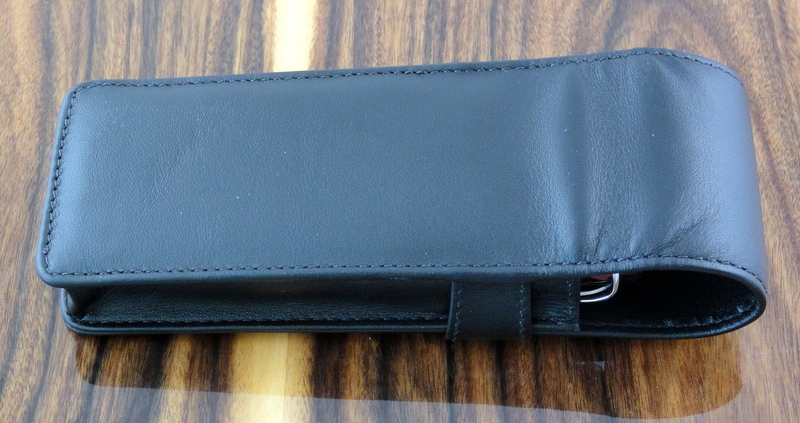 I had originally wanted a Montblanc pen pouch but after looking at it, I knew that it wasn’t right. The main issue I found with the Montblanc case (apart from the $180 price tag) was the fact that the dividers stopped about halfway down the case; this in my opinion is a design flaw that would allow the bottom of the pens to knock into each other. So after doing a bit more research I found that the Pelikan case would accommodate larger pens and had dividers that run the length of the case. The Pelikan pouch is made out of a soft leather (softer than the Montblanc case) and comes in black with a green strap or black with a black strap. 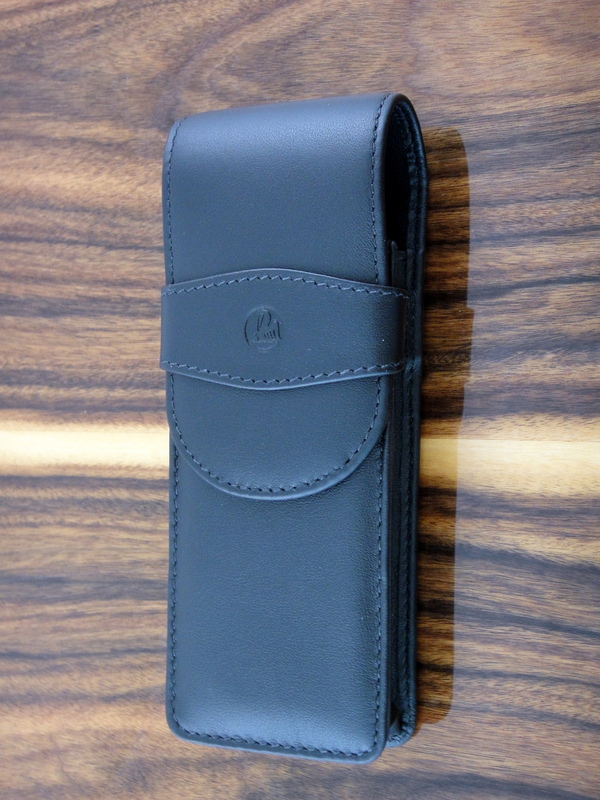 Each case has the Pelikan logo embossed on the strap. 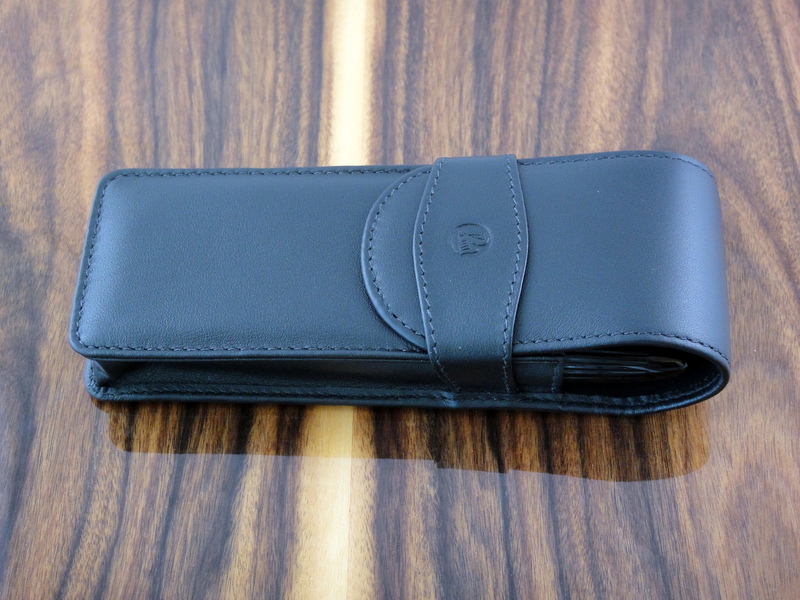 The leather is of good quality, however, it is not as nice as the leather Montblanc uses but for $35 the Pelikan case is of excellent quality. I don’t know where the case is made but I cannot find any flaws in its construction; every thing is cleanly cut and sewn. It’s clear that this case was carefully made. 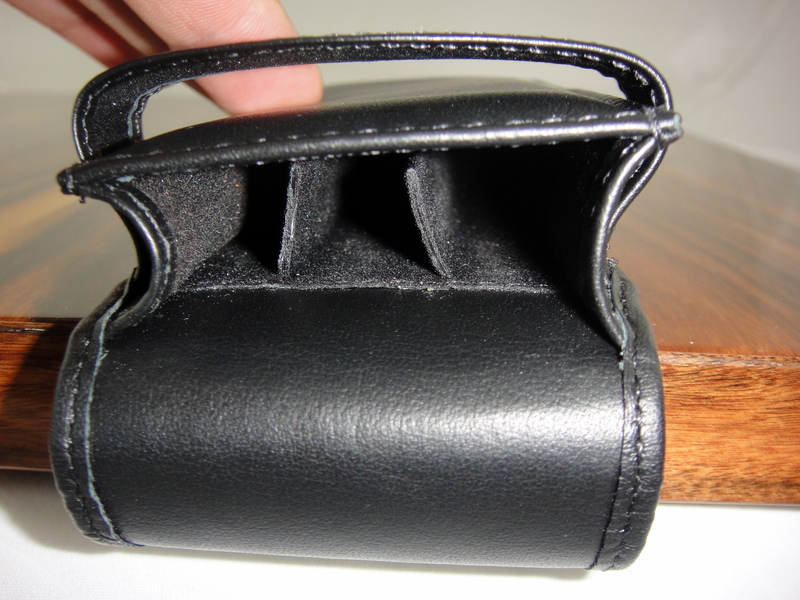 The interior of the flap is leather and the inside of the case seems to be some sort of felt sort of felt. 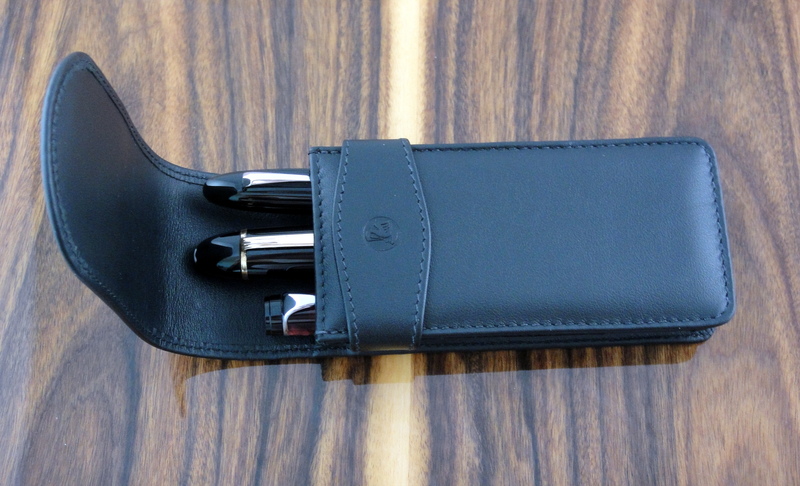 Compared to the Montblanc case pens do fit a bit more snugly. I can easily fit my Montblanc 149, 146, and Aurora Optima into the case but it is a tight fit. If you want to fit three 149s the Pelikan case is not for you. Also the top of the pens that the flap covers are not protected much on the side. I carry my case in a backpack or briefcase without issue. When the case has more normal sized pens in it the flap comes down further. Overall I am really satisfied with this case and highly recommend it.